San Juan, Puerto Rico, native Varlin Vissepó began his career as a commercial pilot and flight instructor, but like many young people launching careers, was driven towards a law degree, too. It took him earning one, plus five years in labor law, for his first passion to call him home. “I wanted to combine my aviation experience with the practice of law,” he says. The means to that, it turned out, was obtaining a master’s degree in aviation law from the Institute of Air and Space Law at McGill University. One of only two such programs in the world, the institute provided broad exposure to the issues that affect attorneys working in aviation. It also gave Vissepó a stepping stone to a job at the Federal Aviation Administration (FAA), where he gained experience negotiating public-sector agreements. “I went to different countries to assist them in getting their own aviation programs ready,” says Vissepó, who for three years participated in high-level meetings with foreign government officials addressing airport certification, safety, and the like. Vissepó’s next move was to gain experience in-house in the private sector. That led him into the software division of Pitney Bowes and the Latin America division of Diebold, a multinational company that manufactures ATMs and software for the financial industry. In both positions, he negotiated licenses and service agreements, and in the latter role, created a legal department from scratch. 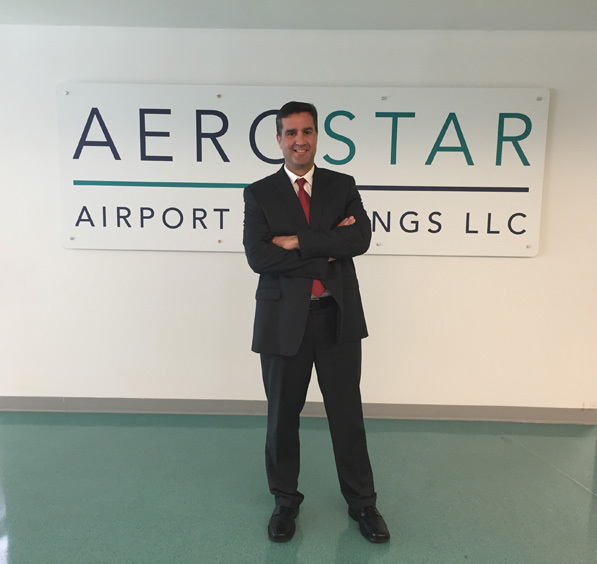 Ultimately, personal reasons led Vissepó on a path back to Puerto Rico, and around that time, an opportunity arose at Aerostar Airport Holdings, which operates the Luis Muñoz Marín International Airport on behalf of the Puerto Rico Ports Authority. It was a big job: The airport is Puerto Rico’s main international gateway—8.6 million passengers pass through annually—and Aerostar has a 40-year lease to manage the airport, including the investment of nearly $1.4 billion in capital improvements. Vissepó, who joined as chief legal officer in 2013, was the perfect fit. “They were looking for someone with a background as an in-house attorney as well as in aviation law,” he says.